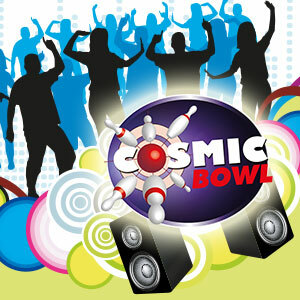 For more exciting special offers available at Cosmic Bowl and M&D’s Theme Park, please click HERE. Purchase your games from 10 am to 11 am and finish bowling by 11.30 am for the amazing price of only £2 per person, per game. 1. Present to cashier at Cosmic Bowl. 2. Must present voucher during transaction, otherwise offer will not be valid. 1. Offer valid throughout April 2019. 2. Voucher valid at times stated for up to 6 bowlers. 3. Offer not available in conjunction with any other offers or discounts. 4. Voucher non-transferable, non-refundable and non-negotiable. No cash alternatives. 5. Voucher must be surrendered on redemption. 6. Offer is subject to availability. 7. Promoter: M&D Leisure Ltd, Strathclyde Country Park, Motherwell, ML1 3RT. Telephone 01698 333777. Purchase your bowling hour from 8.30 pm to 9 pm and finish bowling by 10 pm for the amazing price of only £15. 1. Offer valid Monday and Tuesday evenings in April 2019. 2. Voucher valid at times stated for up to 6 bowlers. 3. Offer not available in conjunction with any other offers or discounts. 4. Voucher non-transferable, non-refundable and non-negotiable. No cash alternatives. 5. Voucher must be surrendered on redemption. 6. Offer is subject to availability. 7. Promoter: M&D Leisure Ltd, Strathclyde Country Park, Motherwell, ML1 3RT. Telephone 01698 333777. 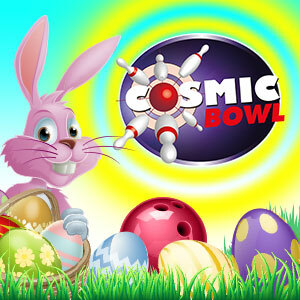 One kid bowls free with each paying adult when games purchased from 10 am to 11.45 am and finish bowling by 12.15 pm on Sunday 21st April 2019. 1. Offer valid on Sunday 21st April 2019. 2. Voucher valid at times stated for up to 6 bowlers. 3. Offer not available in conjunction with any other offers or discounts. 4. Voucher non-transferable, non-refundable and non-negotiable. No cash alternatives. 5. Voucher must be surrendered on redemption. 6. Offer is subject to availability. 7. Promoter: M&D Leisure Ltd, Strathclyde Country Park, Motherwell, ML1 3RT. Telephone 01698 333777. Purchase your bowling hour from 8 pm to 9 pm and finish bowling by 10 pm for the amazing price of only £15. 1. Offer valid on Sunday evenings in April 2019. 2. Voucher valid at times stated for up to 6 bowlers. 3. Offer not available in conjunction with any other offers or discounts. 4. Voucher non-transferable, non-refundable and non-negotiable. No cash alternatives. 5. Voucher must be surrendered on redemption. 6. Offer is subject to availability. 7. Promoter: M&D Leisure Ltd, Strathclyde Country Park, Motherwell, ML1 3RT. Telephone 01698 333777. Buy one game and get your second game free, per person, from 8 pm on Monday evenings in April 2019. Bowling must be finished by 10 pm. 1. Offer valid on Monday evenings in April 2019. 2. Voucher valid at times stated for up to 6 bowlers. 3. Offer not available in conjunction with any other offers or discounts. 4. Voucher non-transferable, non-refundable and non-negotiable. No cash alternatives. 5. Voucher must be surrendered on redemption. 6. Offer is subject to availability. 7. Promoter: M&D Leisure Ltd, Strathclyde Country Park, Motherwell, ML1 3RT. Telephone 01698 333777.